Many of you will remember being served a hot peanut butter fudge sundae or a cherry coke at the soda fountain of Skinners Drug Store on Main Street. What about shopping for new shoes, accessories, or school clothes at Mather’s or Pollock’s stores? The Bait Shop on north Main Street met all the sportsman’s needs. Walsh’s 5 & 10 Cent Store was a favorite for the kids. I bought a Honda 90 motorcycle from Dave Carlson at Hough’s Gas Station across from the IGA. McIntyre’s’ Meat market and Jack’s Party Store were popular spots. While working at Jeffrey’s Bakery, my mailman, Harold Foley would personally deliver greatly anticipated letters to me from my then-boyfriend and now-husband serving in Viet Nam. More sweet treats awaited us at the A & W Root-beer Drive-in and Janet’s Dairy Bar. 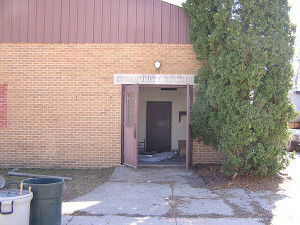 However, the Community Center was the anchor where all the big and important events took place. Square dances, rock concerts, Rotary, Women’s Club, and Lions meetings, grilled chicken dinners, weddings, scout events, receptions, sports banquets, class reunions, showers, retirement celebrations, dance recitals and town hall gatherings all happened there. 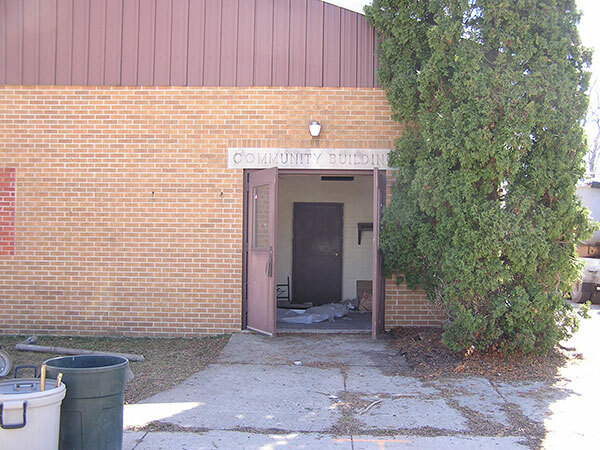 But eventually the community center became too small, worn out, and was finally torn down when asbestos and mold made it unsafe. Do you want a new anchor for our community? Do you wish you had a place in Cedar Springs to celebrate special occasions, gather and visit with family and friends, and make new memories? If so, please consider getting involved with a group of area residents who share a vision to make that wish come true. Cedar Springs has many unique, beautiful, natural and man-made assets, including flowing wells, Cedar Creek, the White Pine Trail, and the North Country Trail. This group believes a community center surrounded by these features would center our family and community events back inside Cedar Springs, bring greater opportunities and clients to our businesses, and make a space for recreational and cultural activities. The group, working under the name of the Community Building Development Team (CBDT), first met last February with a burning desire to continue to raise funds to help build our new library. Enthusiasm was high and soon a vision for a community building that would complement the benefits a new library would bring, was born. Momentum has been building over the last few months, with more people attending the regular monthly meetings. Fifteen presentations have been made so far, to service and governmental entities within our community, with the purpose of garnering ideas and input from the residents on what they would want and need in a Community Center. The CBDT has elected a Board of Directors (Kurt Mabie, Tom Mabie, Carolee Cole, Betty Truesdale, Shannon Cooper, Sonya Cronkright and myself), officers, and acquired legal status as a 501(c)3 corporation. In just the last few weeks $453,800 has been donated. A great deal has been accomplished in a short period of time. The next step focuses around creating a building design that will foster community pride and serve the needs of our residents. “We want this to be your building and be something for all ages. A place to gather and celebrate life here in Cedar Springs. A place that will allow new memories to be created and relationships strengthened,” said Kurt Mabie, CBDT President.